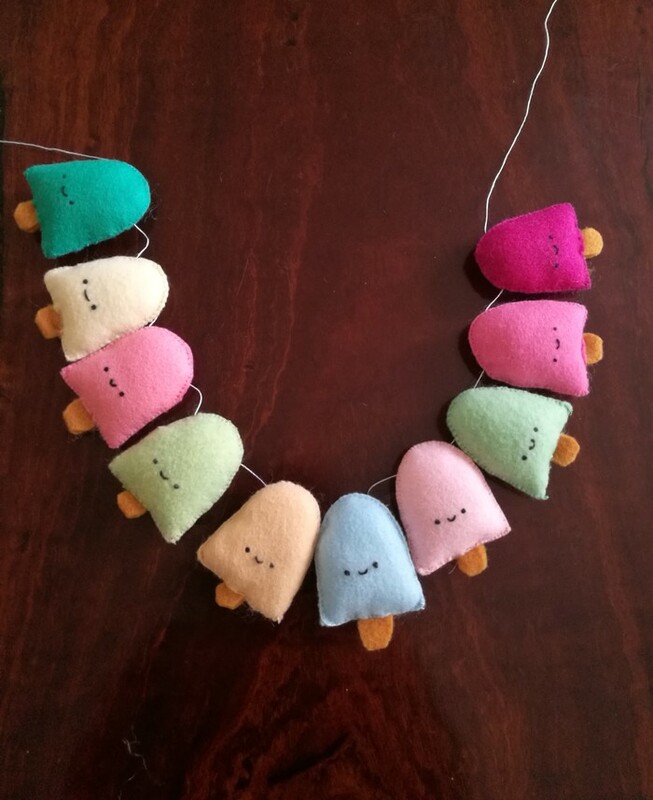 Adorable pure woolen felt heart icecream garland with all ten having a gorgeous smiling face. Perfect for a childs room or for an ice cream/gelato party. Can be used as a party decoration then cut from string and put into party bags. 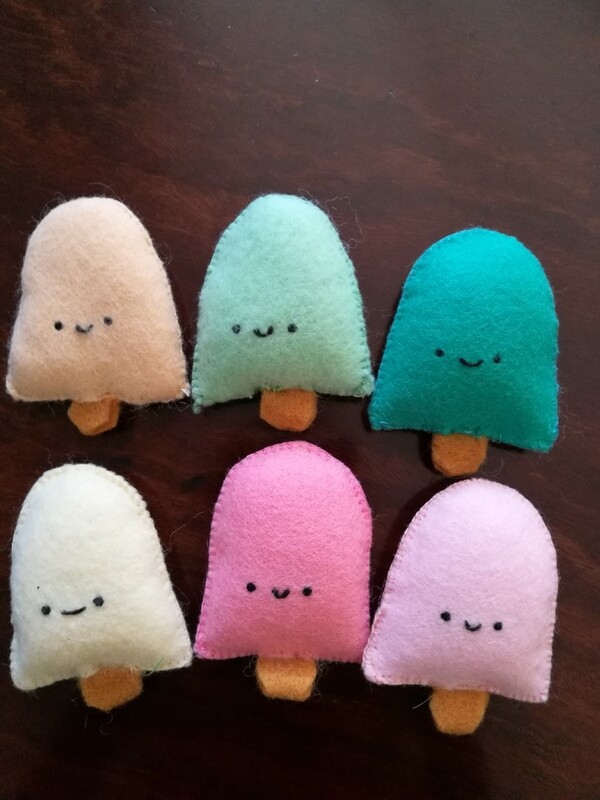 Colours include pistachio, lemon, mint, pink, blue, sherbet orange.